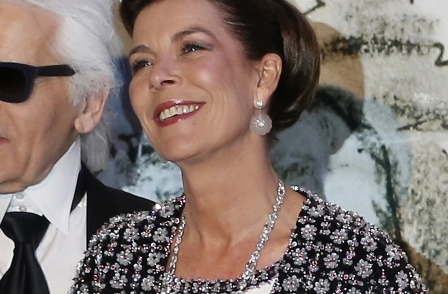 Princess Caroline of Monaco lost another stage in her battle with the German press when the Fifth Section chamber of the European Court of Human Rights rejected her complaint about a magazine's use of a photograph of her and her husband on holiday. The Princess, who has lodged a number of applications with the Strasbourg Court, had complained that the German courts had refused to grant an injunction banning further publication of a photograph of her and her husband, Prince Ernst August von Hannover, which was taken without their knowledge while they were on holiday. It had appeared in in the magazine 7 Tage on 20 March, 2002, and showed the couple on holiday at an unidentifiable location. That page and following pages of the magazine also carried several photographs of the von Hannover holiday home, which illustrated an article saying it had become a custom among celebrities to let out their holiday homes, and describing the family's villa, giving details of furnishings, the daily rental cost, and holiday pastimes. A small box inserted in the text contained two sentences in bold type reading: "The rich and beautiful are also thrifty. Many of them let out their villas to paying guests". In November 2004, the Princess launched legal action in the German courts seeking an injunction against any further publication of the photograph of her and her husband, which led to a number of hearings and appeals in the German courts. In July 2008, after proceedings in Germany's Federal Constitutional Court, the Federal Court of Justice dismissed Princess Caroline's appeal on points of law, finding that she was a public figure and that, while the photograph did not relate to a subject of general interest, the freedom of expression of the magazine's publishers should not be overridden by her right to respect for her private life. The Federal Court of Justice said the report was capable of stimulating discussion on a matter of general interest and could therefore legitimately be accompanied by that single picture, and added that nothing about the photograph itself amounted to a violation of the princess's Article 8 rights. The Fifth Section chamber of the Strasbourg Court also rejected Princess Caroline's application. It said that in it its judgments in Axel Springer AG and Von Hannover (No. 2) the Court had set out the relevant criteria for balancing the right to respect for private life against the right to freedom of expression as being: contribution to a debate of general interest, how well known the person concerned was, the subject of the report, the prior conduct of the person concerned, the content, form and consequences of the publication and, in the case of photographs, the circumstances in which they were taken. The Fifth Section chamber noted that in the present application the Federal Constitutional Court had taken the view that, while the photograph in question had not contributed to a debate of general interest, the same was not true of the article accompanying it, which reported on the current trend among celebrities for letting out their holiday homes. The Federal Constitutional Court and, subsequently, the Federal Court of Justice had observed that the article was designed to report on that trend and that this conduct was apt to contribute to a debate of general interest. The Court also noted that the article itself did not contain information concerning the private life of Princess Caroline or her husband, but focused on practical aspects relating to the villa and its letting. It could not therefore be asserted that the article was merely a pretext for publishing the photograph in question or that the connection between the article and the photograph was purely contrived. The characterisation of the subject of the article as an event of general interest, first by the Federal Constitutional Court and then by the Federal Court of Justice, could not be considered unreasonable. The Court could therefore accept that the photograph in question had made a contribution to a debate of general interest. As to how well known the applicant was, the Court pointed out that it had found on several occasions that Princess Caroline and her husband were to be regarded as public figures who could not claim protection of their private lives in the same way as individuals unknown to the public. It noted the German courts had taken into consideration the essential criteria and the Court's case-law in balancing the various interests at stake, and concluded that they had not failed to comply with their positive obligations and that there had been no violation of Article 8. The case is the third time Princess Caroline has been to the Strasbourg court in an attempt to protect her privacy, and the second time her applications have been rejected. Two series of photographs, published in 1993 and 1997, were the subject of three sets of proceedings before the German courts which then became the subject of the judgment of 24 June, 2004, in Von Hannover v Germany, in which the Strasbourg Court held that the court decisions in question had infringed the applicant's right to respect for her private life. The Princess and her husband subsequently brought several cases seeking injunctions against the publication of further photographs published in German magazines between 2002 and 2004. The Federal Court of Justice dismissed their claims in part and the Federal Constitutional Court rejected a constitutional complaint by the applicant. Those proceedings were the subject of the judgment of the Strasbourg court's Grand Chamber on February 7, 2012, in Von Hannover v Germany (No 2), in which the Court held that the domestic court decisions at issue had not infringed the couple's right to respect for their private life. 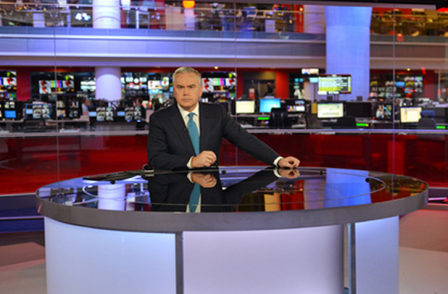 10 new journalism jobs found today, including Mergermarket and Which?